If you have owned the same car for a long time, chances are that you have seen a number of auto-related problems of which some are easy to fix while some require a great deal of time and money. One of the most common problems that the drivers’ report is of vibrations while driving. This feeling of a shaking car could be from anywhere including car tires, bent rims or brakes. However, if the problem is left unattended for a long time, it can be damaging to the suspension and other components as well. In this article, we will discuss the top 10 reasons why your car is shaking or vibrating and how to fix them. There could be a lot of different problems causing the shaking of your vehicle. Here is a list of the most common causes. The most common cause of car vibration or shaking is bad tires. Tires are the only part of the car in contact with the road and they have a short lifespan. With age, the tires can get old and worn out and cause strong vibration. If you are feeling vibrations from your vehicle while driving at higher speed, you should take the tires to a mechanic for inspection of the tires in the tire balancing machine. Over time, your car tires lose their balance which causes vibrations. To fix this problem, take your car to a professional mechanic for tire balancing. This procedure involves adding small amounts of weights to each wheel and it is done using a machine. You can notice a problem with the tire balance when driving at a speed between 55 and 65 mph. However, at higher speed, the vibration is no longer felt. If the car vibrates when applying brakes and you are feeling it in the steering wheel, the problem is most likely with the car’s front brake mechanism. If you feel vibrations when braking, but not from the steering wheel, it might be the read brake discs that are worn. The pads and rotors on the front disc brakes can get damaged over the time and need replacement. On average, the car’s brake calipers should be changed every 50,000 miles. Notice if the car vibrates or shakes only when you are turning the car. If so, then the problem could be with the power steering system. To fix the problem, check the power steering system hose for leaks and ensure that the power steering fluid is at an appropriate level. If any of your axles are bent or damaged due to harsh driving, the car will start to shake. The shaking intensity will increase as you accelerate the car. You can also inspect the CV joints and driveshaft for damage. 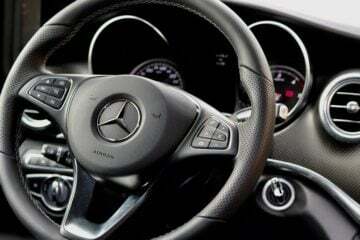 The steering response is usually better in new cars as compared to old cars. This is because the steering components in the old cars car wear out with time and cause hindrance while turning the car. 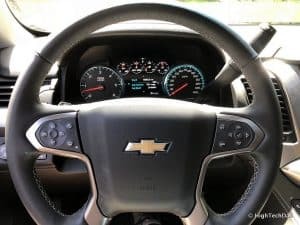 There are a number of components linked to the car’s steering system so it is best to take your car to an auto-specialist for a professional inspection. Loose wheel bearing and loose steering components are closely linked and have similar symptoms. The wheel bearings are mounted on the vehicle and allow the wheels to rotate freely. If these bearings wear out, the wheel can move freely at any speed causing disturbing vibrations. You do often also hear a high sound while driving at higher speed from a bad wheel bearing. Minor driving mistakes such as driving up a curb or hitting a pothole can damage the rim and cause it to bend. A bent rim causes vibration while driving and it increases if you travel faster. 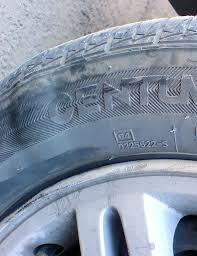 A bent rim should be taken care of quickly as it can cause loss of tire pressure as well. Sometimes the problem does not lie within the brakes or wheels, it is caused by the engine. If your car begins to shake while driving at a constant speed or jerking occurs during acceleration, chances are that the problem is with the engine. This happens when the engine is deprived of adequate, fuel-air or spark to function efficiently. Replacing the air filter or spark plug can fix the problem. If not, take your car to a mechanic for professional inspection. Finding the exact location of these kinds of problems can be pretty difficult. Here are some of my tips from over 10 years of experience with these kinds of problems. If you feel constant vibrations from your car at high speeds – Take the car for a tire balance and Wheel & Rim inspection to check for any damages. Steering wheel shaking while braking – Front Rotor discs damaged or old and need to get replaced. Vibrations only on hard acceleration – Bad CV axles or any drivetrain unbalanced part. This is just a recommendation from me, and you should always do a proper diagnose or let a mechanic do it before you are replacing parts for high repair costs. A good troubleshooting can save you a lot of money. Before you replace the tires, it is important to consider all the alternatives and ensure if the car vibration is not caused by any other problem as replacing the tires is expensive and the price varies according to different cars. For instance, four “Bridgestone Ecopias” tires cost about $400 but there are other costs associated as well. The mounting and balancing would cost between$15 to $50 dollars. Replacing Valve Stem when changing tires is important it costs somewhere around $5 to $10 dollars. Opting for a Protection Plan is essential to ensure peace of mind when buying new tires. This usually costs approximately $50 depending on the company. The cost of alignment is about $150 but it can cost a lot more if you own a luxury car such as a Mercedes or BMW.